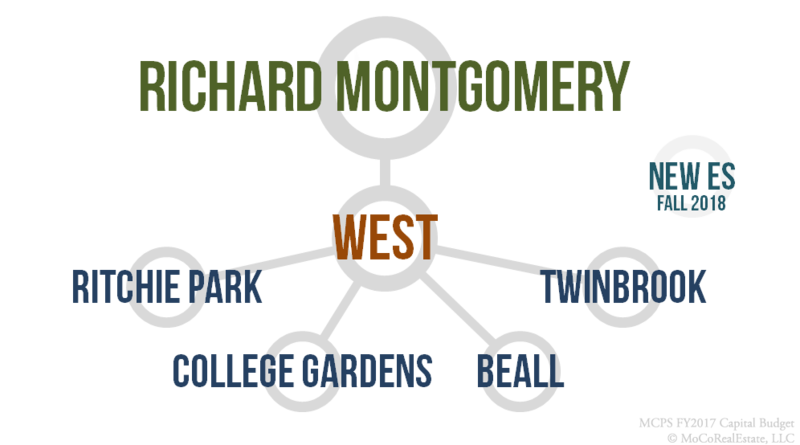 The Richard Montgomery Cluster is located in middle of Montgomery County, along I270 and is bordered by the Gaithersburg Cluster, Wootton Cluster, Churchill Cluster, Walter Johnson Cluster and Rockville Cluster. 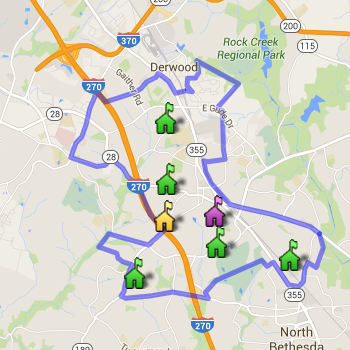 Homes in Derwood, Potomac and Rockville (zips 20850, 20851, 20853) feed into the Richard Montgomery Cluster. Richard Montgomery High School is home the county’s application-based International Baccalaureate program. Richard Montgomery HS is home to a county magnet program which could elevate overall school test scores. The median home price in the Richard Montgomery Cluster is around $510,000 making it one of the more expensive clusters in Montgomery County. See all homes for sale and homes by price break in the Richard Montgomery Cluster below. Always verify a home's school assignment directly with MCPS.